There seems to be paper flying in all directions - welfare reform latest announcements, white papers on vulnerable children, changes to wages for young people, Canterbury announcements and Auckland plans. It's all a bit hard to keep up with. The Key (no pun intended) thing to remember here, when our minds turn to rubber and we start wondering about crime welfare papers and immunisation reforms for vulnerable houses, is it all comes back to the key goals. Decent work for decent pay is not one of the Government key goals. However it is for others. The Presbyterian Church endorsed the Living Wage Campaign at its biennial General Assembly which was probably very timely, since the New Zealand Income Survey showed median weekly incomes from wages and salaries exhibited the smallest increase since the June 1999 quarter. In addition, the proportion of all people receiving income from wages and salaries decreased from 53.2 percent to 52.9 percent in the year to the June 2012. John Ryall from the Service and Food Workers Union commented “working families on low pay are really suffering and increasingly going without. Many are working multiple jobs and, no matter how hard they work, are falling further into poverty.” “With forty percent of children in poverty coming from households where at least one person [is] in full time work or self-employed, it [is] time for policies and action to lift low pay. The Living Wage campaign list of supporters is starting to get quite long. Let's go back to those key goals. Government wants young people off welfare (goal 1), in work or training (goal 5) and reduced youth crime (goal 7). Solution? Make sure young people are very attractive to employers. The White Paper for Vulnerable children came out last Thursday. It's all about goal number 4 "reducing the assaults on children" . There is the paper itself. Volume one has all the actions, and volume two has all the detailed thinking behind them. There's the action plan , and an action plan summary chart. Then there are a variety of factsheets related to the plan . The paper was launched at the Jigsaw conference last week. Minister of Social Development, Paula Bennett is unapologetically targeting resources, interventions and support to those children who are currently being abused or seriously neglected and those who are most at risk. A new Vulnerable Kid's Information system, known as ViKi, will hold information on children in one place and will be accessible to relevant professionals who work with children. High risk adults will also be able to be tracked and monitored through the system. Peter Gluckman (Science Advisor) and Families Commissioner Carl Davidson are designing a new research and evaluation unit SuPERU to improve outcomes for vulnerable children. This will include evaluating and reviewing the effectiveness of parenting programmes in New Zealand. Hear Paula Bennett on National Radio, followed by Trevor McGlinchey NZCCSS EO talking about the White Paper. Labour - "The glaring omission in this paper is the 270,000 Kiwi children living in poverty. Lifting our children out of poverty is one of the best things we can do to improve their lives. Greens - "The phone line to protect children appears more like a dob-in line, and is a wasted opportunity to connect struggling parents with support, without fear they or their child will be labelled 'vulnerable'." United Future - “It is impossible to fault the intention behind the White Paper or the will of Paula Bennett and the Prime Minister to tackle the issue of child abuse. However, I do remain sceptical as to the effectiveness of government agencies to work together and with others to deliver the goods." NZEI - Government has again "gone down the road of punishment and monitoring." New Zealand Medical Association (NZMA) - has commended a stronger focus on sharing information among professional groups to identify vulnerable children. Post Primary Teachers' Association (PPTA) - has also welcomed moves to train teachers to recognise signs of child abuse. President Robin Duff is concerned the paper is too narrow focus and "it does not address the major underlying issue of child poverty." UNICEF NZ - "all children are vulnerable to some extent and that a far wider view needs to be taken to realise the vision promoted by the Government for all children to thrive, belong and achieve." Every Child Counts: We strongly support the early identification and tracking of vulnerable children. Evidence shows that universal services have a vital role in helping identify these children and ensuring they are connected with more specialised support. Te Kahui Mana Ririki - The government needs to develop a Māori-specific strategy in partnership with iwi, Māori leaders, and Māori experts. The strategy would need sustained and proportionate investment, over a number of decades, to transform Māori parenting and eradicate violence from Māori homes. White papering over some cracks? Children live in families, and families live in communities. We all contribute to the context of our country's communities. Sadly, some families are not safe with a complex web of fear and violence. Both reduce parents’ ability to parent. Police have recently analysed family deaths between 2004 and 2011 and found “81 percent of female victims and 29 percent of male victims were killed as a result of intimate partner violence.” Mothers killed 15 of the 33 child victims, with infanticide comprising one third of these. It looks like the numbers around family violence are a bit confusing. Police investigated 86,722 cases of domestic violence last year - 2049 more than in 2010, but the number of recorded offences fell. Women’s Refuge are concerned police need to take family violence more seriously, as they are attending more callouts, but making fewer arrests because certain offences were not deemed serious enough. Family Court assistance could be harder to access. Children could be worse off according to New Zealand First Welfare and Social Policy spokesperson Asenati Lole-Taylor. Government is planning changes to the Family Court system which include a $897 compulsory Family Dispute Resolution Service fee. Asenati Lole-Taylor thinks many families will not be able to afford the fee which means government will just make money from families having a hard time rather than assisting them. In particular, the proposed reduction to free counselling “makes a mockery of the Government’s policy of ‘putting children first”. The Expert Reference Group established by the former Minister of Justice to advise of Family Court reform say they were not consulted on key proposals put forward by the Government to change the Family Court and are concerned there are real risks for vulnerable parents and children. Does it feel Better, Sooner and More Convenient yet? Associate Health Minister Jo Goodhew’s recent speech was a wide-ranging summary of current government policy and work plan around older people. Integration and “wrap-around” services are the buzzwords in DHBs, but the government is still “thinking about” what to do about the development of “premium-only” aged residential care facilities. It is to be hoped that “wrap-around” services will be for everyone and not just those who can pay the premium. The Social Housing Fund has released its Allocation Plan for the coming three years (2012 – 15), outlining how it plans to invest the Government’s $104.1 million funding allocation. The SHU is learning some lessons, and the plan provides improved clarity about the kinds housing organisations and projects to be funded, and which types of housing and regions will have priority with what level of investment. Housing Minister Phil Heatley says it is "absurd" to claim Government is not committed to homelessness. But, there is no way $33 million a year in additional housing is going to sort out our housing needs. Responding adequately to homelessness in this country will need more than this, says LifeWise’s John McCarthy. Many of our poorest people live in boarding houses. For some of us, they are just home. For those of us with better homes, many can look and smell pretty dreadful which isn't surprising given there are no specific minimum standards for private boarding houses in New Zealand. Journalist Max Rashbrooke lived in one for three weeks and talked to Kim Hill about his experience. 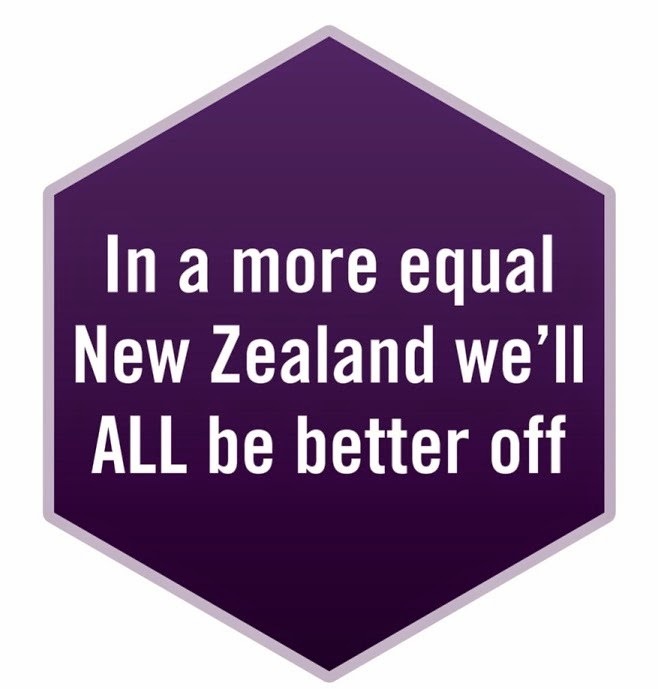 Max Rashbrooke also talked to her about the book he is writing on income inequality in NZ and you can also hear more from Max and some of the other contributors to the book that NZCCSS is supporting Max to write. Families Commission – family violence - service user involvement guide. ACC: A Better Future - ACC Futures Coalition 1 day conference, Monday 29 October, Brentwood Hotel, Kilbirnie Wellington. Speaker include Sir Geoffrey Palmer, Dr. Felicity Lamm, Dr. Grant Duncan and Hazel Armstrong. Registration is $60. Public forum to hear about the crisis in the health system and what we can do to fix it.